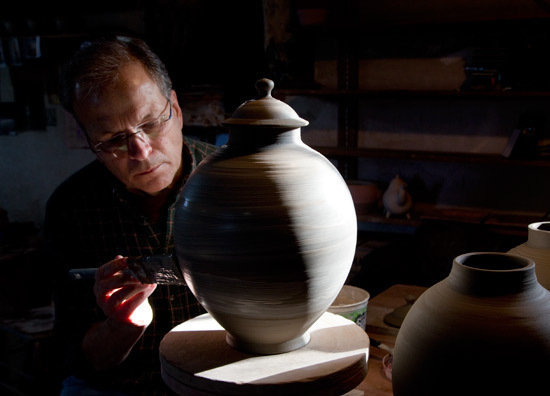 I started making pottery 51 years ago, and I've been earning my living as a full-time potter for the past 45 years. The work that I make is mostly functional stoneware, but I don't have a set line of work that is made on a productionbasis. I prefer to let forms and surfaces develop and evolve from firingto firing. I hope you'll find some interesting images and informative text. I like a lively, colourful surface on my work and I spend a fair bit of time doing glaze research to find new, interesting glazes to work with. 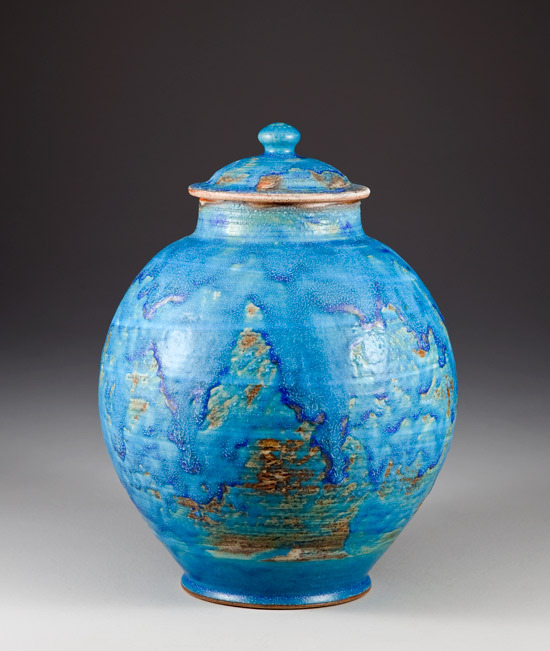 This wheel thrown stoneware jar was fired to cone ten reduction, and it has iron and cobalt maple wood ash glazes. This jar is the same piece that I'm starting to decorate in the portrait photo above. It's part of a series of jars I've been working on lately. They all stand about 33 cm tall. 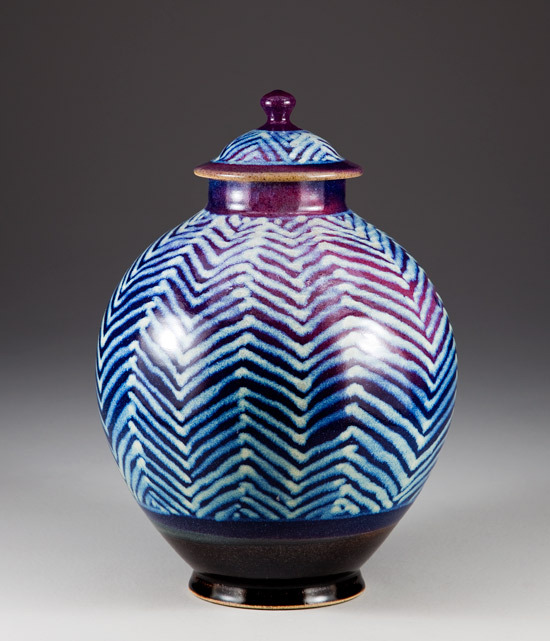 A lidded jar with a flowing copper blue glaze. I've been using this glaze since the late 1960s, and always enjoy the vivid blue it produces. 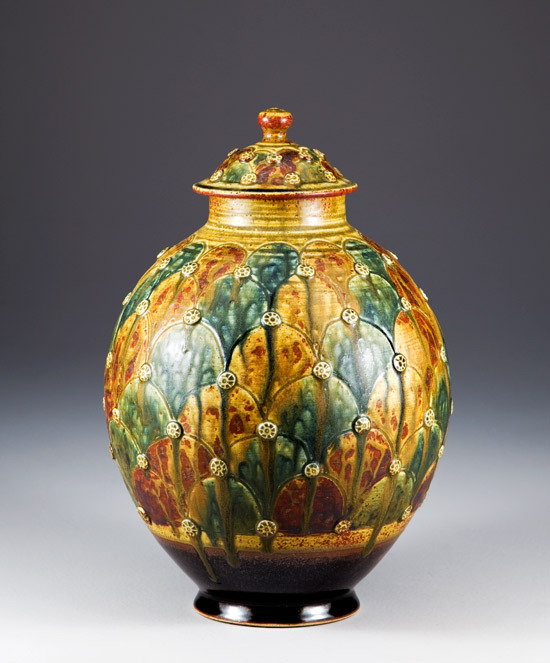 This lidded jar has a saturated iron glaze. A wax resist technique applied before the firing reveals a flower pattern of the white glaze beneath the iron. 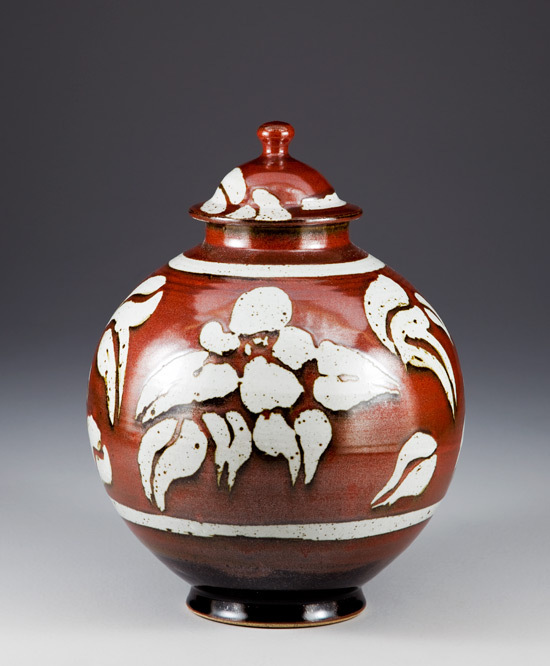 This stoneware jar also has a copper glaze, but in this formulation the copper produces a plum colour. A herring bone pattern was brushed over the surface prior to firing.